When I lived in the UK, I would often fall asleep and/or wake up to the Shipping Forecast: a BBC Radio broadcast of weather reports and forecasts for the seas around the coasts of the British Isles. Though I had, of course, no real need of the Forecast, on many occasions it lured me like the voice of a hypnotic siren (especially, I must admit, when read by a woman). When I moved back to the US in 2003, I missed hearing the Forecast on the radio, but thankfully one can listen to it at Radio 4 online. Although the online stream lacks the delectable sonic texture of long wave radio, the Forecast still has the power can still reel in its listeners. “It is a bizarre nightly ritual that is deeply embedded in the British way of life. You switch off the TV, lock up the house, slip into bed, turn on your radio, and begin to listen to a mantra, delivered by a soothing, soporific voice. “Viking, North Utsire, South Utsire, Forties, Cromarty, Forth, Tyne, Dogger ….” says the voice. You are aware — vaguely — that these delicious words are names, and that those names refer to big blocks of sea around your island nation, stretching all the way up to Iceland and down to North Africa. The BBC’s beloved Shipping Forecast bulletin covers 31 sea areas, the names of which have inspired poets, artists and singers and become embedded into the national psyche. Your mind begins to swoop across the landscape, sleepily checking the shorelines, from the gray waters of the English Channel to the steely turbulence of the Atlantic. Somewhere, deep in your memory, stir echoes of British history — of invasions from across the sea by Vikings, Romans and Normans; of battles with Napoleon’s galleons and Hitler’s U-boats. 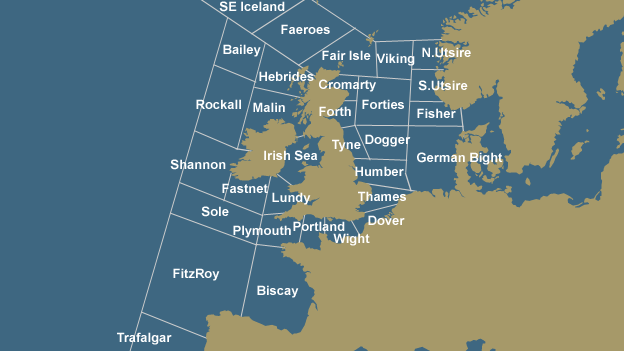 Click here to listen to the Shipping Forecast on the BBC Radio 4 website. Also, check out the history of the Shipping Forecast on Wikipedia and from this excellent article by Peter Jefferson in Prospero (PDF, page 10). This entry was posted in AM, Articles, Longwave, News, Slightly Off Topic and tagged BBC Radio 4, Longwave, National Public Radio, NPR, Shipping Forecast, Weather on April 11, 2014 by Thomas. 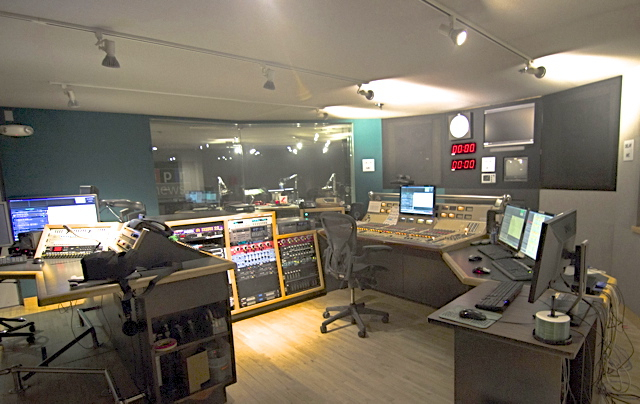 NPR Studio 2A, home of NPR’s Morning Edition and All Things Considered, is one of the lots up for auction. National Public Radio (NPR) is moving to a new building in Washington, DC. They’re auctioning off all of the studio equipment and furniture they’re leaving behind. Here’s your chance to own a piece of radio history–and, perhaps, start your own radio station or recording studio! Click here to view the list of items up for auction. This entry was posted in Broadcasters, Current Events, News and tagged National Public Radio, National Public Radio Auction, NPR, NPR Auction, NPR History on March 20, 2013 by Thomas.